Cigna Global is one of our expatriate medical insurance options Good Neighbor Insurance provides to our clients. Cigna International has strong medical benefits that expats require while residing outside the U.S. You may view our Cigna Global insurance options here at https://www.gninsurance.com/cigna-global-individual-private-medical-insurance-plans/. Cigna Global has three levels of essential core cover. These three are Silver, Gold, and Platinum options to choose from. Cigna International also has optional benefits to tailor make your expatriate medical insurance fit you and your family. These additional options include stronger outpatient cover, international health and wellbeing add on, as well as international medical evacuation cover. Cigna Global allows you to have your overseas medical cover your way; your expatriate medical insurance cover that makes sense for you and your family. Over the years some medical insurance terms change means. Other medical insurance terms are created altogether. Below is a small list that Cigna International has provided to our clients. Admission (Admits) An overnight confinement to a facility. Brand Name The proprietary or trade name of the medication. Catastrophic (Cat) All members who have accumulated payments in excess of a specified threshold. Chronic Defined as an illness or sickness that is not curable but may be controlled with treatment. Coinsurance A defined percentage of the covered charges for services rendered. A health plan may pay 80% of the cost of covered services, and a member pays 20%. Copayment Predetermined fees for medical services covered by a benefit plan, which are paid by the member at the time of service. Cost Share Benefit plan arrangement requiring that the participant pay a portion of the costs. This includes copayments, coinsurance and deductibles. Facility A site where health care services are delivered including hospitals, convalescent units, skilled nursing facilities, and birthing centers. Facility Outpatient Refers to services and costs that are incurred at a facility but did not result in an admission. Generic Drug A prescription drug that has the same active-ingredient formula as a brand-name drug. In-Network Consists of practitioners and facilities providing quality care at reimbursement rates often below the out-of-network rate. Inpatient Refers to services and costs that are incurred during a facility admission. Mail-Order Fill Rate The rate of total pharmacy scripts received via mail-order, a feature of a pharmacy program that enables a participant to send their prescription (and any applicable copay) directly to a mail-order vendor. Major Diagnostic Categories (MDC Major) Industry standard groupings of ICD-9 diagnostic codes which relate to various body systems for inpatient and outpatient claims. Out-of-Network A provider not affiliated with the participating provider network. Outpatient Refers to services and costs that are incurred outside of a facility admission. Pathology The study and diagnosis of disease through examination of organs, tissues, bodily fluids and whole bodies. Specialty Pharmacy A classification of injectable/other drugs that are administered by a physician and largely categorized as medical spend instead of traditional pharmacy spend. Therapeutic Class Major therapeutic classes include Central Nervous System, Cardiovascular, Hormonal, Anti-infective, Pain, Allergy/Respiratory and other drugs. Total Cost Share Amount Benefit plan arrangement requiring that the participant pay a portion of the costs. The sum of copayments, coinsurance and deductibles. Please call one of our licensed agents at Good Neighbor Insurance at 866-636-9100 or locally here in Arizona at 480-633-9500 with any questions. 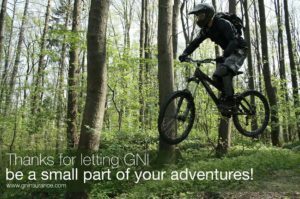 You may also reach us via email at info@gninsurance.com. Have an amazing and safe travels as you serve others!